In under-appreciated perquisite of the teacher’s job is the long summer break which normatively extends to eight weeks in India. With school summer holidays beginning this month (April), this hiatus offers the country’s overworked 8 million school teachers a great opportunity for extra-curricular reading. It’s an open but seldom discussed truth, that most of our school teachers are notoriously ill-read. Ask any teacher you know what non-prescribed book she is reading currently. The most likely answer is a non-committal mumble. The great majority of them don’t read beyond prescribed textbooks they are hired to teach, and in some cases don’t even read them in entirety, focusing on selected chapters and photocopied notes passed on by their predecessors. But with the gradual shift from traditional rote learning to interactive pedagogies the world over, this teacher knowledge deficit is beginning to show up in classrooms across the country as children score poorly on 21st century skills of creativity, critical thinking, collaboration and problem-solving. “It’s sad but substantially true, that the overwhelming majority of school teachers in India don’t read anything beyond board-prescribed textbooks. There’s a conspicuous deficit of reading for pleasure in school staff rooms, as in most homes across the country. 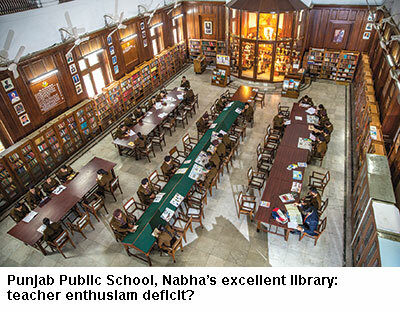 Even in the best private schools equipped with well-stocked libraries, teachers seldom read. This is unfortunate as reading equips teachers with competencies and confidence to go beyond set curriculums and stimulate the creative thinking and innovation capabilities of their students. And most important, a well-read teacher is an excellent role model for her students, encouraging them to develop the reading habit,” says Prof. Geeta Kingdon, chair of education economics and international development at the Institute of Education, University College, London and president of the City Montessori School, Lucknow, Uttar Pradesh’s top-ranked co-ed day school in the EducationWorld India School Rankings 2018-19. More than a decade ago in 2007-08, Prof. Kingdon conducted a study titled SchoolTELLS Study — Understanding Teacher Capabilities in rural Uttar Pradesh and Bihar. Other than important revelations about teachers’ subject matter knowledge and classroom management capabilities, the study found that less than 5 percent of teachers read non-prescribed books, and even these were religious texts such as the Bhagwad Gita and Ramayana. “Unfortunately, there is widespread apathy among teachers. World Bank surveys of teacher truancy and teachers’ time-on-task indicate high teacher absenteeism of almost 25 percent in government schools, and low time expended on teaching tasks. If public school teachers attend school, assign homework, assess pupils, monitor extra-curricular activities and ensure good learning outcomes, they will also develop the inclination to read to expand their knowledge and horizons and introduce teaching-learning innovations in their classrooms,” says Kingdon. A commonly advanced excuse for school teachers being ill read — especially in rural India — is the conspicuous lack of public and school libraries. According to Pratham’s Annual Status of Education Report 2018 — the outcome of the combined effort of 30,000 field personnel, mainly college/university students and NGO volunteers who tested the academic learning outcomes of class I-VIII children of 300,000 households in 596 districts of rural India — 25.8 percent of rural schools don’t offer extra-curricular books and only 36.9 percent of children had access to non-curriculum books on the day of the visit of ASER volunteers. In some states such as Bihar and Uttar Pradesh, the shortage of extra-curricular reading material is acute. For instance in rural Bihar, 40.9 percent of schools don’t have reading rooms while in Uttar Pradesh 36.9 percent don’t. “Even if rural schools nominally have reading rooms most of them are very sparse with books missing and/or unavailable. However, the important thing is to get teachers and children to read beyond the curriculum. 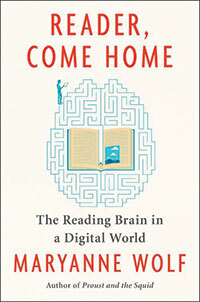 In the new digital world, books don’t necessarily have to be in print form. They are increasingly being digitised and provided on smart phones for anytime, anywhere reading. Moreover in urban India, there is no shortage of for-profit libraries which lend a wide range of non-fiction and fiction books to members for a small fee. Teachers should take advantage of the long summer break to read for leisure and learning. Doing so will increase their knowledge and positively impact their teaching and communication skills,” advises Ashok Kamath, an alumnus of IIT-Bombay and chairman of the Akshara Foundation, Bangalore, promoted by philanthropist Rohini Nilekani in 2000. Thus far, Akshara has established 2,700 small libraries in government schools across India. While easy accessibility to assorted books and reading material for summer reading may be a problem for government school teachers, in private schools affiliated with the pan-India CBSE/CISCE and international boards such as Cambridge International (UK) and International Baccalaureate (Geneva), managements have made generous investments in state-of-the-art libraries. But even their teachers don’t exhibit much enthusiasm for extra-curricular books. “In most private schools, administrators and teachers tend to believe that their main job is to help students get good exam grades. Extra-curricular reading is not a priority for them either. Sadly, most teachers are not interested in anything more than light and fluffy women’s and film magazines. Even the engaging content of EducationWorld is too heavy for the majority of teachers of the country’s top-ranked schools. Ill-read teachers can’t do a good job of enthusing or stimulating their students,” laments a principal of a renowned school speaking on condition of anonymity. 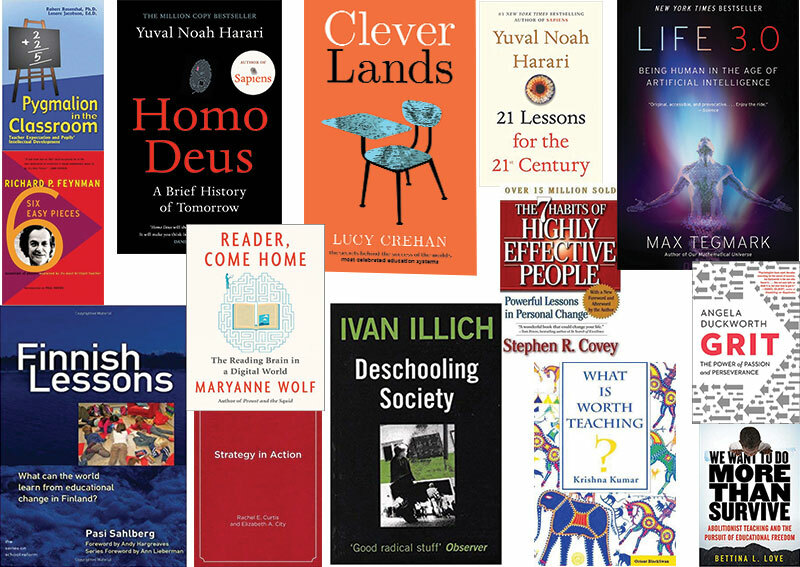 There’s no shortage of evidence indicating that reading the classics, biographies of great leaders and history stimulates and boosts creativity, intelligence and empathy. To write his bestseller Change Your Habits, Change Your Life (2016), US-based financial planner Tom Corley conducted a five-year study in which he interviewed 177 millionaires about their daily habits. The great majority (88 percent) said they set aside at least 30 minutes per day to read biographies, history and self- help books. In a 2016 interview with The New York Times, Microsoft Inc founder-chairman Bill Gates — routinely assessed as the world’s wealthiest individual by the authoritative US-based Forbes magazine — said he makes it a point to read at least 50 mainly non-fiction books per year. 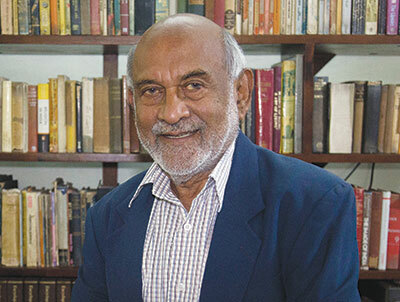 “Reading is the main way that I learn new things and test my understanding,” he told the daily. Yet even if teachers have not had the time or inclination for additional reading, it’s never too late to start, especially with summer holidays round the corner. 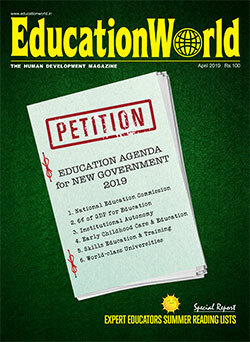 EducationWorld asked a select mix of knowledgeable educationists, teacher trainers and school principals across the country to recommend a miscellany of books for teachers and educators. 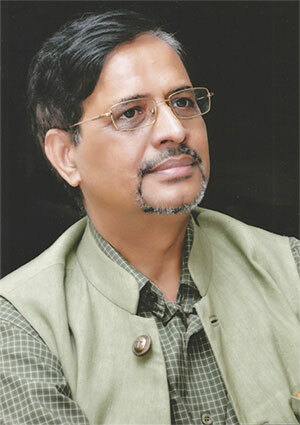 A physics graduate of the blue-chip Cambridge University (UK) and former physics teacher at the Gordonstoun School, Scotland, headmaster of the top-ranked Doon School, Dehradun and Lawrence School, Sanawar, Shomie Das is the Hyderabad-based chairman of the People’s Combine Educational Initiatives Pvt. Ltd, which runs five IB-affiliated Oakridge International schools in peninsular India. 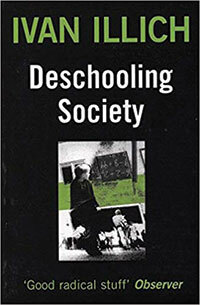 Deschooling Society by Ivan Illich (Harper & Row, 1970). A revolutionary thinker, Illich propounded that school students spend too much of their childhood cloistered in classrooms compulsorily learning subjects which have little bearing on their talents and capabilities. He proposed a voucher system where government issues students vouchers to learn what they want to learn. 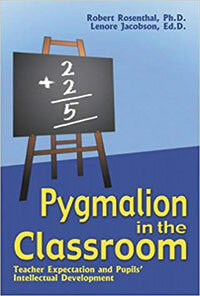 Pygmalion in the Classroom by Robert Rosenthal and Lenore Jacobson (Crown House Publishing, 1968). Written by Harvard University researchers, it suggests practical and effective teaching-learning experiments in classrooms to develop students’ thinking and analytical skills. History of South India by Rajmohan Gandhi (Aleph Book, 2018). This brilliantly written tome comprehensively sums up the history of peninsular India, routinely ignored by historians. An eminently readable and informative history, it will change perceptions of teachers towards the southern states. Annual Status of Education Report 2018 (ASER Centre). Teachers in elite schools tend to live in lush islands surrounded by a sea of mediocre institutions delivering low-quality education. They need to familiarise themselves with some dismal and dismaying facts about the public education system in rural India. Lt. Gen. (Retd.) Arjun Ray, PVSM, VSM, is chief executive of the Bangalore-based Indus Trust (regstd.2000) which has established three routinely Top 10 ranked IB-affiliated Indus International schools in Bangalore, Pune and Hyderabad. Ray is a voracious reader with special interest in leadership, artifical intelligence, entrepreneurship and education innovation. The Most Important Year by Suzanne Bouffard (Penguin Random House, 2017). A refreshing addition to cutting-edge research in early childhood education, this book addresses two important questions: What do youngest learners need? 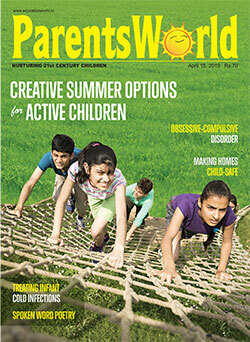 How can pre-primaries ensure that children learn joyfully? Reader, Come Home by Maryanne Wolf (Harper Collins, 2018). Written by a professor at the UCLA Graduate School of Education and Information Studies, USA, this book is an action guide on how to develop bi-literate brains in the new digital age. Wolf warns educators and parents about the high price children will have to pay for digital addiction as the reading brain unavoidably changes to adapt to digital media. 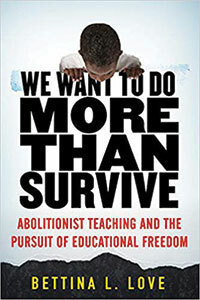 We Want to Do More Than Survive by Bettina L. Love (Beacon Press, 2019). A stinging indictment of America’s education system for failing to provide sufficient opportunities for non-white children. Love believes educators must teach students about racial violence, social oppression, and how to make sustainable changes in their communities through civic initiatives. Many of her suggestions on education reform and inclusion are very relevant for India’s government, CBSE and CISCE-affiliated schools. 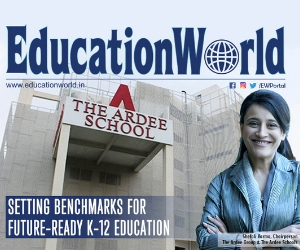 A nationally respected educationist and newspaper columnist, Devi Kar is director of the CISCE-affiliated Modern High School for Girls, Kolkata, ranked among India’s Top 5 all-girls day schools in the EW India School Rankings 2018-19, and the Modern Academy of Continuing Education. Homo Deus — A Brief History of Tomorrow by Yuval Noah Harari (Harper Perennial, 2018). From the author of Sapiens, which has sold over 1 million copies worldwide, Homo Deus will shake readers out of their comfort zones and compel them to contemplate a future in which machines and algorithms will take away jobs and rule over humans. A searing indictment of blind worship of technology. Goodbye Mr. Chips by James Hilton (Important Books, 1934). This enduring classic is the moving story of a schoolmaster who spent his life teaching generations of young boys. A strict disciplinarian, Mr. Chips earns the undying love of students and fellow teachers. 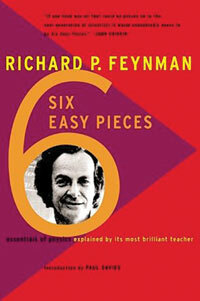 Six Easy Pieces by Richard P. Feynman (Basic Books, 1994). Brilliant compilation of essays from The Feynman Lectures on Physics, it provides a lucid introduction to the fundamentals of physics and glimpses into one of the most fascinating minds of our times. Feynman was a great teacher, physicist and master of high drama whose simple, pedagogic style, based on plain common sense won him worldwide admiration. Also check out Surely You’re Joking Mr. Feynman and The Pleasures of Finding Out. Generation Z: A Century in the Making by Seemiller and Grace (Routledge, 2018). Most adults erroneously stereotype, label and assign attributes to generation Z. A primer for teachers who wish to understand young people they teach. 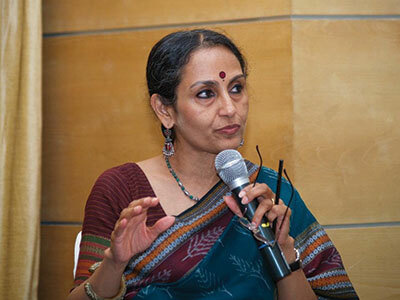 An alumna of Delhi and Leicester (UK) universities, Maya Menon is the celebrated founder-director of The Teacher Foundation, Bangalore. How Children Fail by John Holt (Perseus Books, 1964). A durable classic providing great insights into children’s minds and how they make sense of their world. According to Holt, if children don’t learn, it’s because of fear and/or boredom! An important inspiration for the homeschooling movement in America. 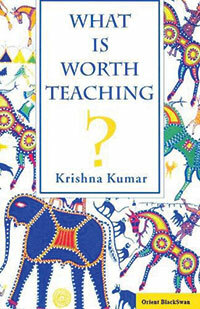 What is Worth Teaching by Krishna Kumar (Orient Blackswan, 1992). Seven lecture-essays titled What is Worth Teaching? 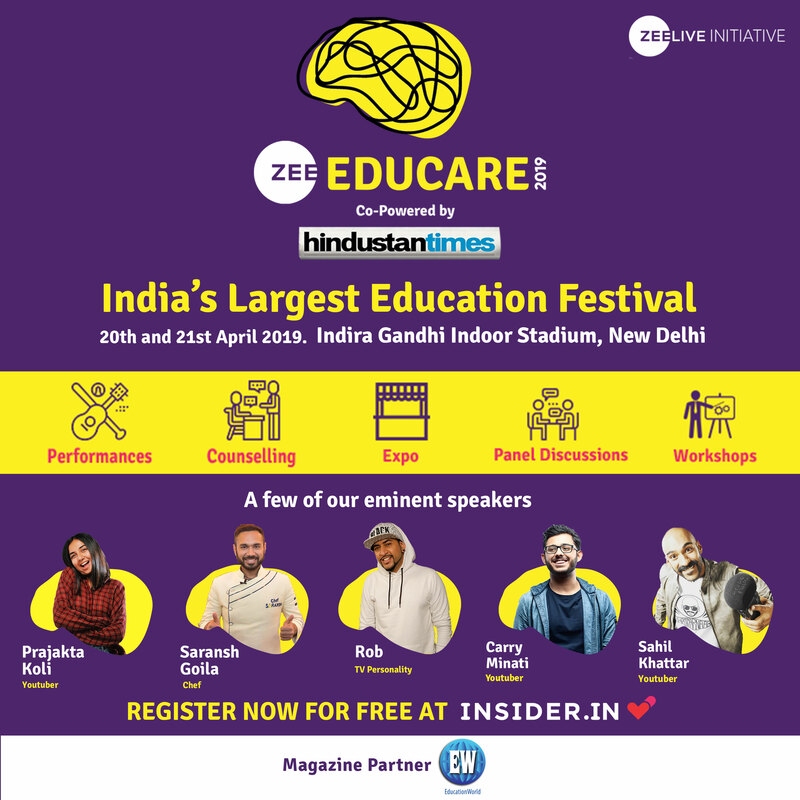 Textbooks and Educational Culture, Implications of a Divisive School System, Secularism: its Politics and Pedagogy, Reading in Primary School, Growing up Male, Listening to Gandhi by Dr. Krishna Kumar, former professor of education at Delhi University. The essays are easy to read, but they don’t tell happy stories about India’s failing education system. 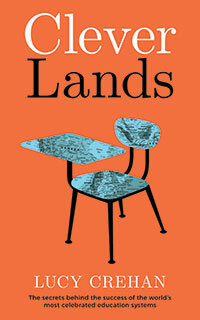 Clever Lands — the Secrets behind the Success of the World’s Education Superpowers by Lucy Crehan (Unbound, 2016). This book chronicles the author’s investigation of the school systems of five countries with excellent K-12 education records — Finland, Japan, Singapore, China and Canada. It explains why their 15-year-olds come out tops in the rigorous PISA (Programme for International Student Assessment) test. Being Mortal by Atul Gawande (Penguin Books, 2015). A profoundly sensitive book written about old age, death and dying. It explores a difficult question — should doctors be trained to prepare people for death or to prolong life? The author suggests that acceptance of mortality should determine the way we treat the dying. A must-read for all because everyone has to experience the death of family members and loved ones. 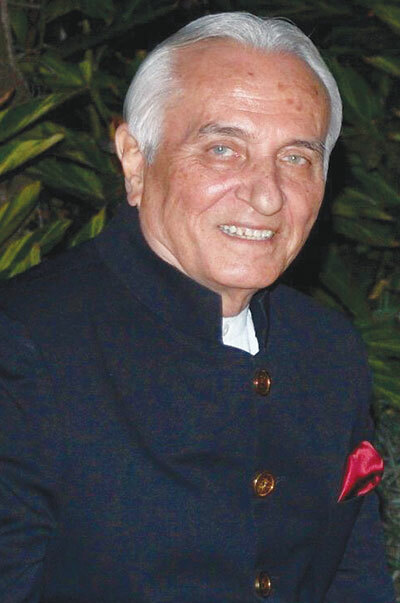 An alum of Allahabad University and former founder-principal of DPS-Jammu, Ashok Pandey is principal of the CBSE-affiliated Ahlcon International School (AIS), Delhi, and former chairman of the Delhi-based National Progressive Schools Conference. 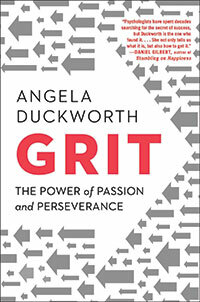 Grit: The Power of Passion and Perseverance by Angela Duckworth (Vermilion, 2017). Highly recommended for educators. It convincingly establishes that a combination of passion and perseverance (‘grit’) rather than talent determines success. Emotional Agility by Susan David (Penguin 2017). The author argues that emotional agility — capability to endure the slings and arrows of fortune with self-acceptance, clear-sightedness and open mind — is at the heart of success. A salutary lesson for all educators. Finnish Lessons by Pasi Sahlberg (Teachers College Press, 2012). 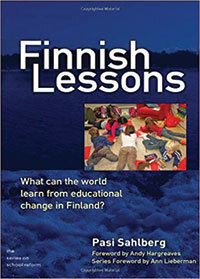 Authored by the foremost authority on Finland’s widely acclaimed and admired K-12 education system. Must-read for India’s champions of education reform. Lifelong Kindergarten by Mitchel Resnick (MIT Press, 2017). Endorsed by internationally renowned educationist Sir Ken Robinson, this book explains how teachers can stimulate creativity through playful inquiry, peer learning and new technologies. 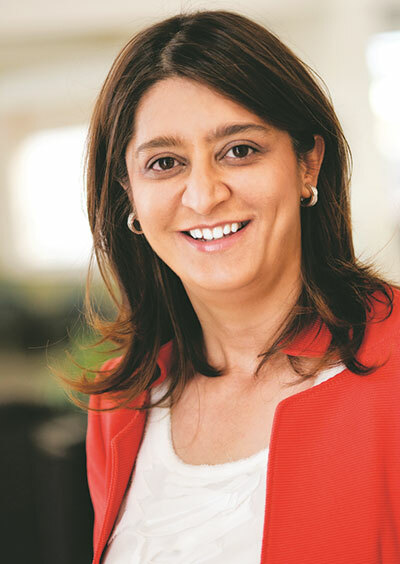 An alumna of Loyola University, Chicago and University of Illinois, Anjum Babukhan is co-founder and director of the Hyderabad-based K-12 Glendale Academy (estb.2003), Glendale Edufun chain of seven preschools and the Glendale Creative Arts Academy. 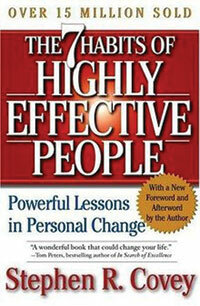 7 Habits of Highly Effective People by Dr. Stephen Covey (Simon & Schuster, 1989). A transformational self-help guide which details how to optimise relationships and continuously renew oneself. I begin all new teacher training workshops by introducing them to 7 Habits. You’re Smarter than you Think by Thomas Armstrong (Free Spirit Publishing, 2002). A comprehensive guide to understanding and applying celebrated Harvard educationist Dr. Howard Gardner’s theory of multiple intelligences in classrooms. Replete with examples, suggestions and references. 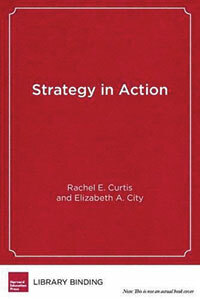 Strategy in Action: How School Systems can Support Powerful Learning and Teaching by Rachel E. Curtis and Elizabeth A. City (Harvard Educational Publishing, 2009). A brilliant MBA in institutional management. Details ways and means that school leaders should follow to systemically improve classroom instruction and learning outcomes of students. 5 Minds for the Future by Dr. Howard Gardner (Harvard Business Review Press, 2005). A comprehensive guide to developing disciplined, synthesizing, creating, respectful, ethical mindsets of students. 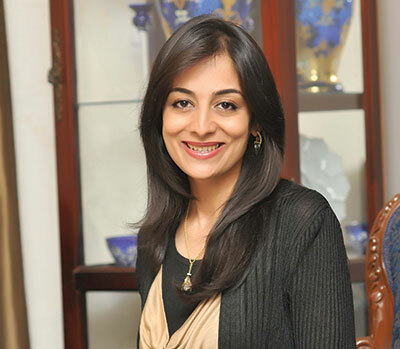 An alumna of Boston University and former manager at Reuters and IBM, Nooraine Fazal is founder-CEO of the CISCE and Cambridge International (UK)-affiliated Inventure Academy, Bangalore (estb.2005), consistently ranked among India’s Top 10 co-ed day schools in the annual EducationWorld India School Rankings. 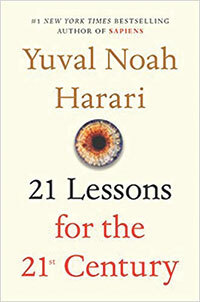 21 Lessons for the 21st Century by Yuval Noah Harari (Jonathan Cape, 2018). Latest oeuvre of best-selling anthropologist and historian Noah Harari (Sapiens, Homo Deus), it highlights that 21st century humans may lose their jobs to AI and algorithms driven computers. Warns against the dangers of misinformation/fake news. Also explains why education systems need to switch from information dissemination to teaching children skills to survive in a relentlessly changing and uncertain world. A Fifth Discipline Resource, Schools That Learn by Peter Senge (Crown Business, 2012). Masterful book. Sheds light on the importance of five disciplines — personal mastery, shared vision, mental models, team learning and systems thinking and organisation in primary-secondary education. Excellent primer on how to adapt best corporate practices in education. 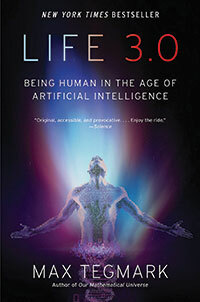 Life 3.0 — Being Human in the Age of Artificial Intelligence by Max Tegmark (Penguin, 2018). Must-read for all educators as it provides a preview of the future. 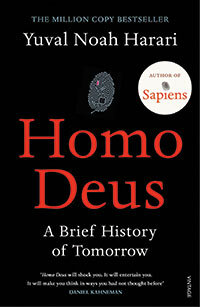 Will homo sapiens continue to reign supreme? Will we fuse with machines or will super intelligent computers enslave humans and take over the world? An important reminder for educators to focus on developing skills that computers cannot learn. Grit by Angela Duckworth (Vermilion, 2017). The new world requires children to be fast, adaptable and capable of shutting out noise and focusing on the major challenges confronting mankind — rising income inequality, majoritarianism, right-wing nationalism, global warming etc. Most importantly, it advises educators to teach that hard work and grit, more than talent is the prescription for success.